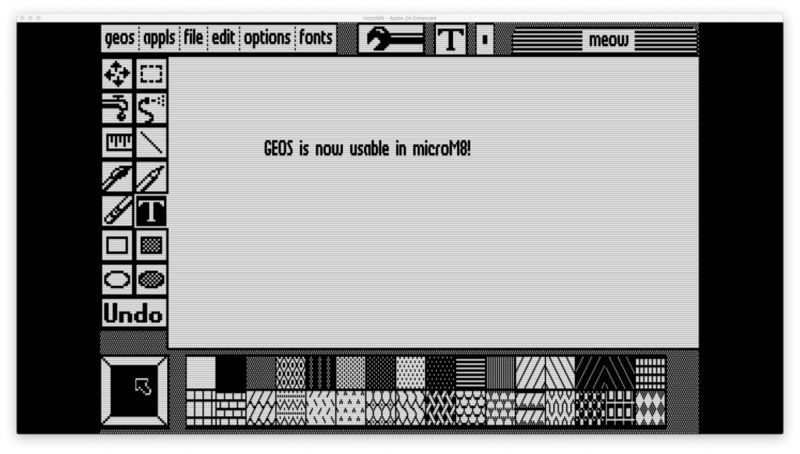 The biggest hurdle to using GEOS inside microM8 was the lack of a reasonable input method (eg a mouse). Unfortunately our attempts at implementing an Apple Mouse card did not go that well (we might take another whack at it another time). 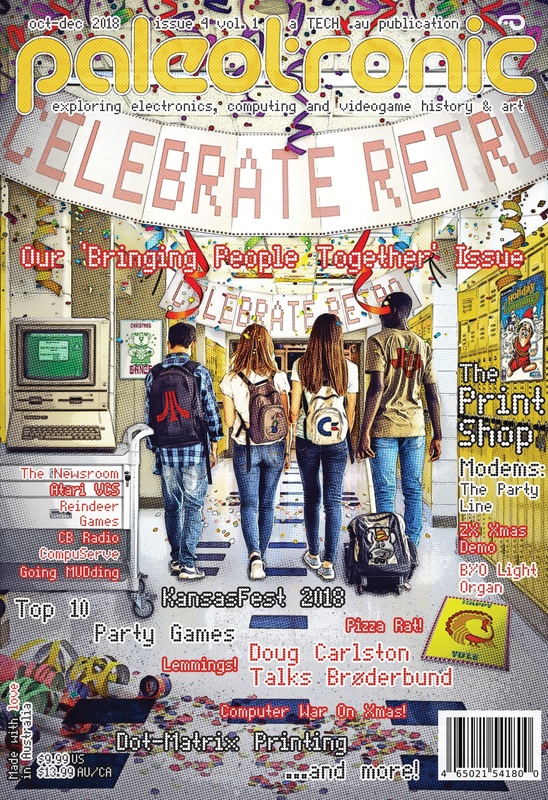 But until then we’ve found another solution: by creating a special joystick emulation mode, we can “track” the system mouse and trigger appropriate joystick movements to make the joystick input mode inside GEOS work like a mouse! 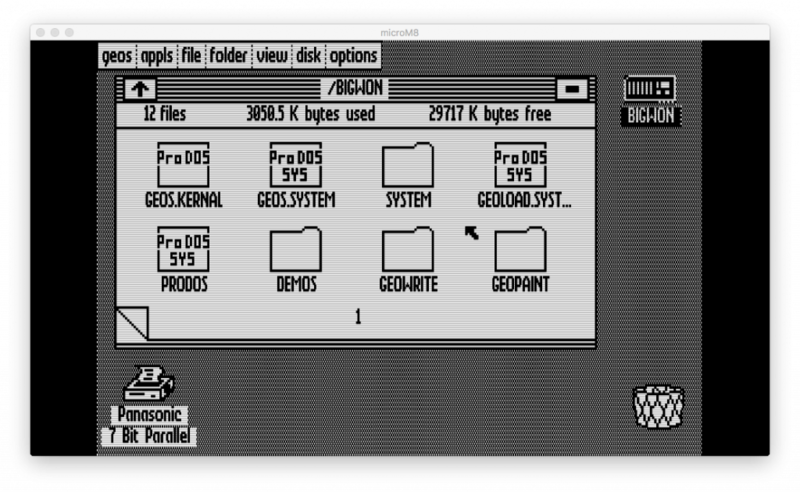 To turn on the GEOS “mousestick” press control-shift-M, release all three keys and quickly press 3. microM8 will “capture” your system mouse cursor while you use the mouse inside of GEOS. To get your system cursor back, turn the mousestick off by pressing control-shift-M, then 1. Don’t forget that if you save files inside GEOS, the modified hard disk image will be stored in your MyDisks folder, located in your operating system’s file tree at (your home directory)/microM8/MyDisks or inside microM8’s file catalogue at /local/MyDisks. 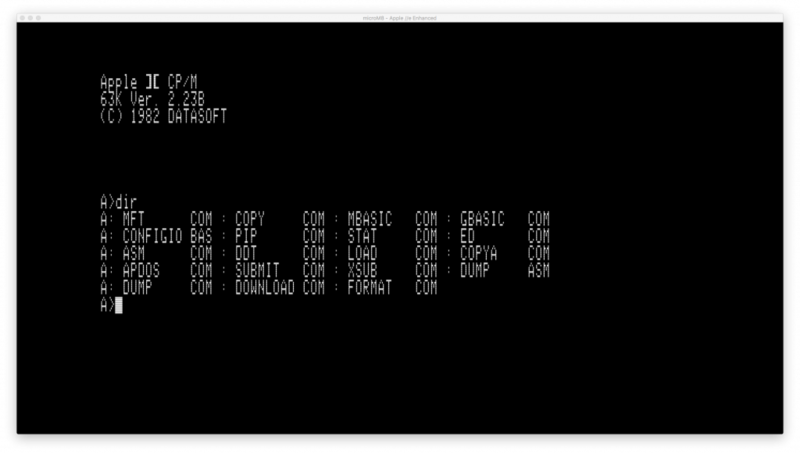 To continue your GEOS session later you should open the image from your MyDisks folder, either via the file catalogue or by dragging-and-dropping it on to the microM8 window. 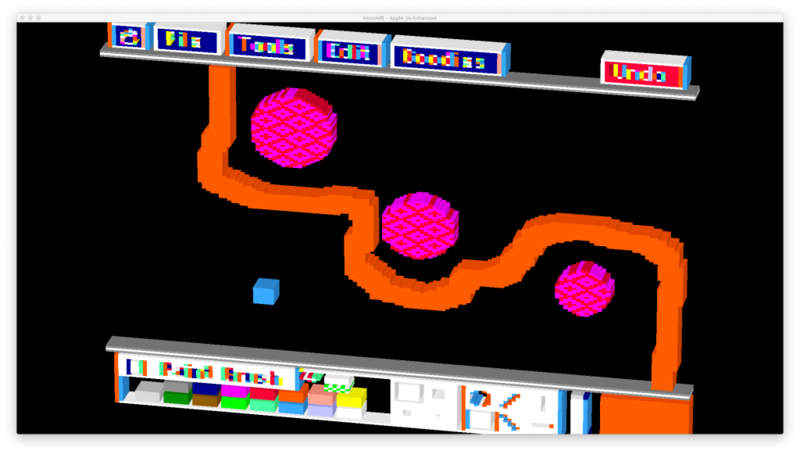 Make sure you change the input device in Dazzle Draw’s configuration to joystick. 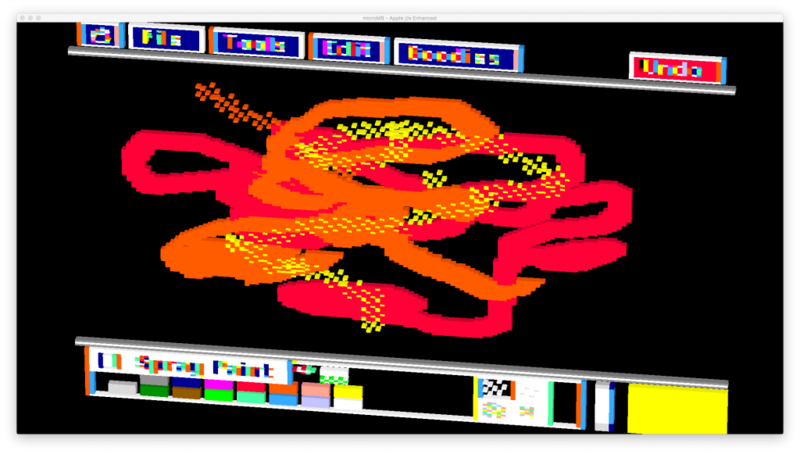 You can even print your creations (black and white only) by configuring the printer to Epson MX-80, using an Apple Parallel card in slot 1. While our attempts at implementing a mouse card were (for now) a ‘noble experiment’, we did have success implementing another card, the Microsoft CP/M Softcard. This card emulates a Z80 processor and allows for the running of CP/M applications, such as WordStar and BASIC-80. You can find out more about CP/M and microM8 in the CP/M help page.